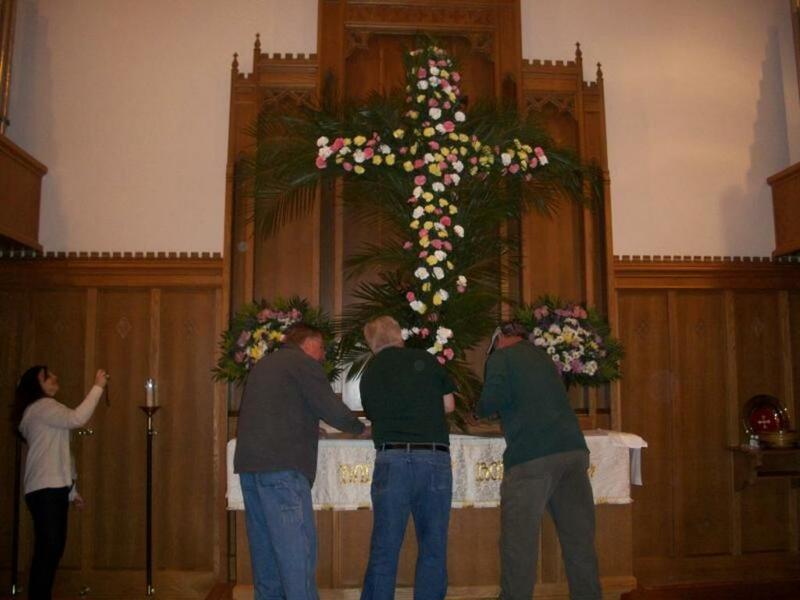 The care groups of First Lutheran decorate the Easter Floral Cross for the Easter services on the day following. 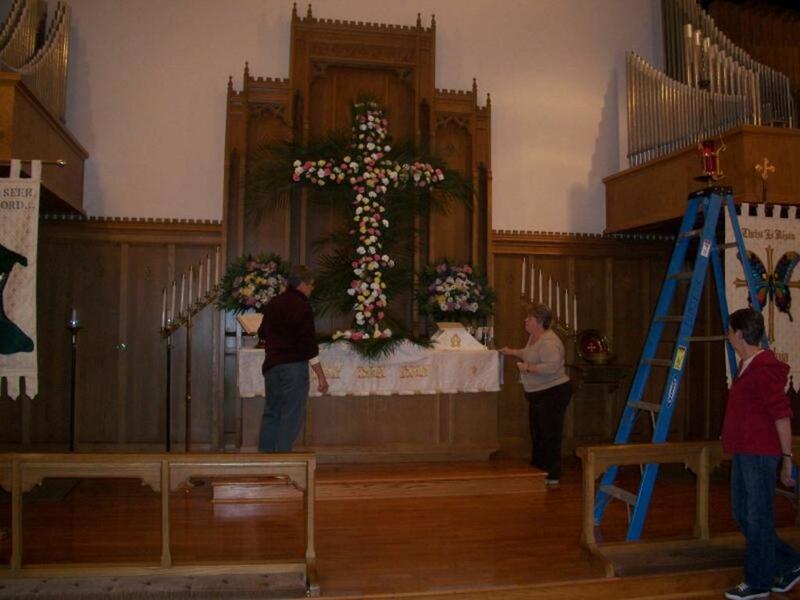 An annual tradition, the cross symbolizes the new life and resurrection in Christ...and is placed on our front altar for our Easter services. 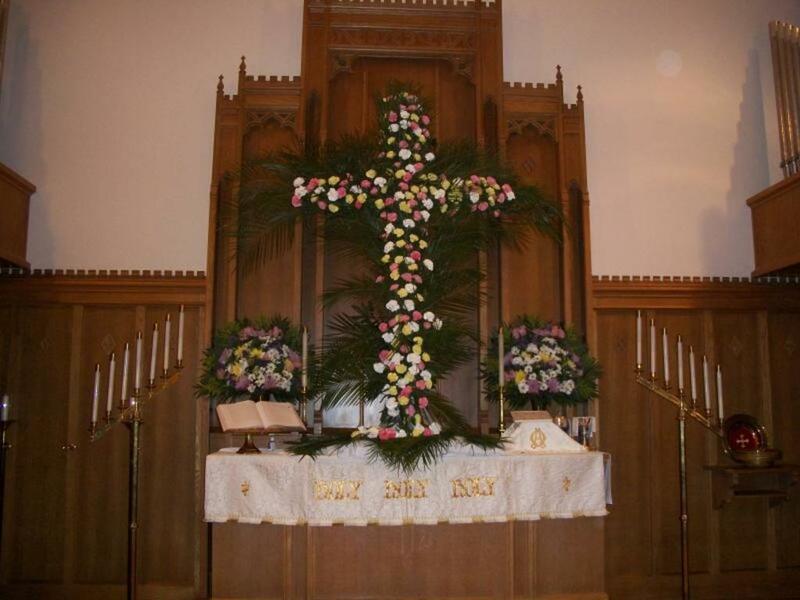 Decorated with carnations and palm fronds, the cross is an uplifting reminder that HE IS RISEN! 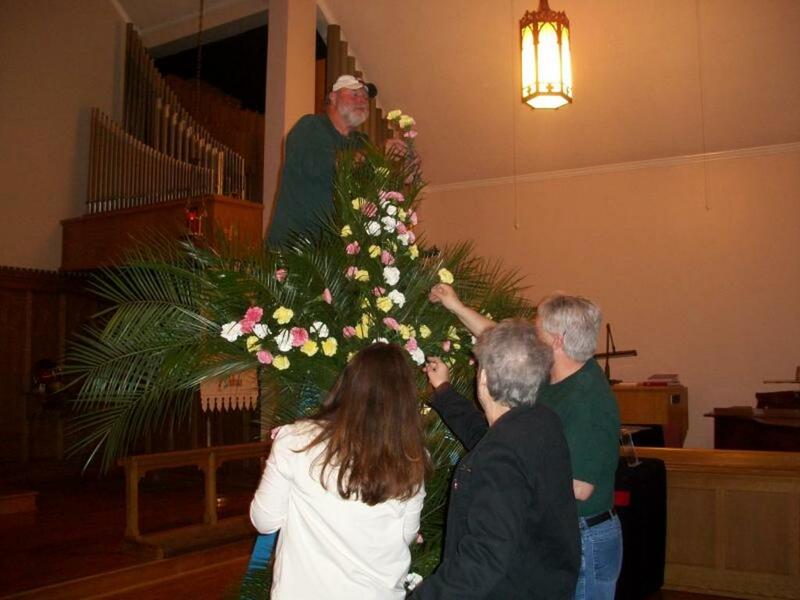 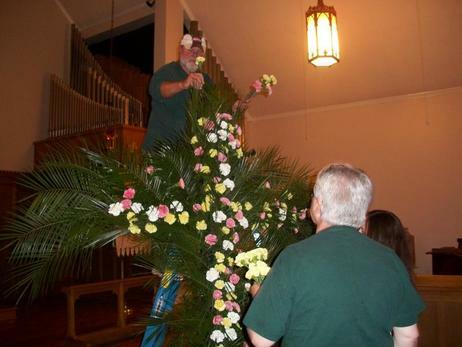 Robert Ollis (on ladder) and Steve Baker work on placing the flowers on the cross.